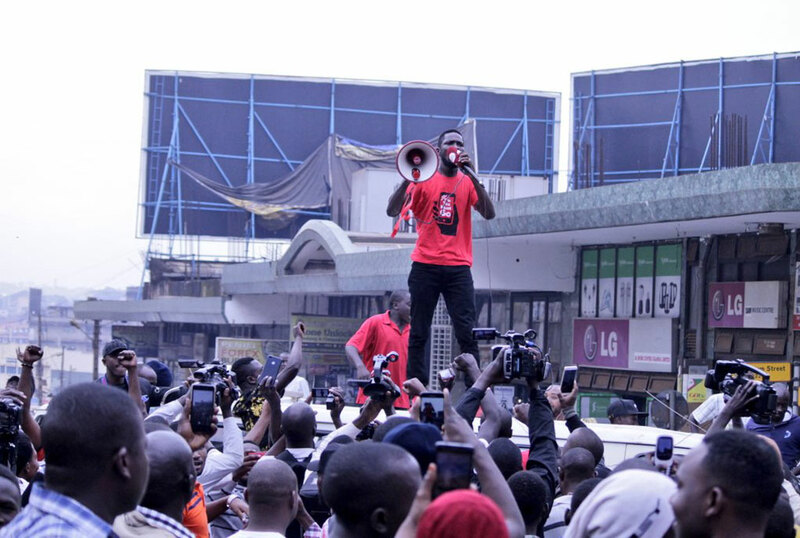 Yesterday singer/parliamentarian Robert Kyagulanyi Ssentamu, alias Bobi Wine, was the man of the hour after he managed to evade arrest and make it to Parliament during the social media tax protest. 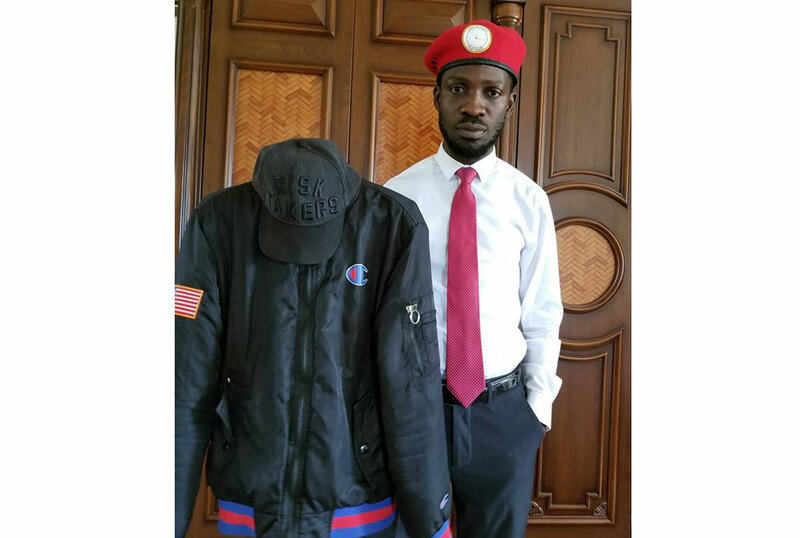 His undetected escape and successful arrival at Parliament was only made possible by a yet-to-be-identified Good Samaritan who donated a cap and jacket to the Kyadondo East Member of Parliament. 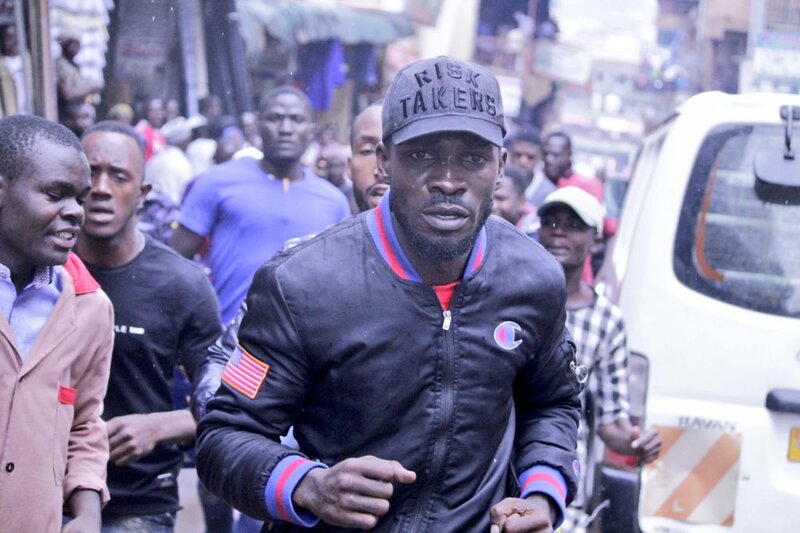 Today morning, Bobi Wine has washed off all of yesterday’s dust and tear gas and is looking for the man who donated the outfit that has since gone viral after a powerful picture of him running while donning it surfaced on social media. “To the Brother who I met in town (kiyembe) and facilitated me with his Jacket and cap so I could find my way to parliament disguised,I salute you. I am looking for you. #ThisTaxMustGo,” Bobi Wine has posted on social media. 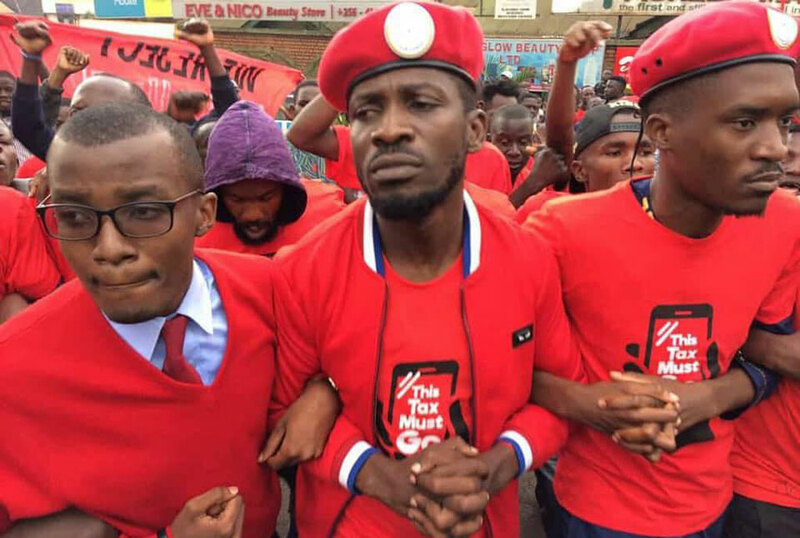 At the beginning of the protest, Bobi Wine had been dressed in a red shirt and red cap just like the other protesters who included singers A Pass, Dr Hilderman, Nubian Lee and media personalities Joel Senyonyi and Raymond Mujuni. The police officers who had attempted to arrest him therefore were not able to see him escape since they did not expect him to be wearing a black jacket and cap. Meanwhile the cap had the words ‘RISK TAKERS’ inscribed on it. How coincidentally appropriate! For now let us spread the word till it reaches the courageous ‘Kiyembe’ lane guy. A big reward awaits him!